Unfortunately, each of the candidates opted out of the search process following their initial interview with the hiring manager. 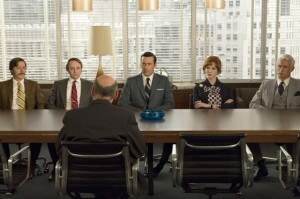 They couldn’t believe how they were treated in the interview process. As search partners, it is our job to help make our clients look good and to step in when something could turn off a great candidate. It is also part of our job to give feedback to our clients about the impression that they are making in the market. At the outset, we suspected that the search might be difficult because the client would not give us access to the executive team other than the Head of Human Resources. As we learned more about the company, it was clear that it also possessed a culture of arrogance. They thought anyone would do anything to join their company, but they were wrong. They treated candidates not as potential partners, but as job seekers who should be thrilled to work at the company. They continually changed interview dates and times, but also failed to recognize that their compensation for the role was well below market. Perhaps this was true, but how could someone sell the “brilliance” of a management team we hadn’t been allowed to meet? And, why would someone leave a good position to join a company where no big upside is offered? When we asked the candidates about their initial interview, the responses were consistent. Each of them was rescheduled at least once and then when they arrived for their interview, they were kept waiting in the lobby and not offered a beverage or use of the restroom. One candidate described at length how she was moved from conference room to conference room because no one had reserved a room for their interview. When you interview for a position you want, you prepare and put your best foot forward. When you are hiring someone, you MUST do the same. Otherwise, you are giving away the power to make the decision – it is being made for you. Needless to say, this search took some time to complete. Ultimately, two of the key decision makers for our search were pushed out of the company. Once given access to a new senior executive that actively engaged with us, we were able to complete the search in less than a month. We have tracked this former client and while the company has not imploded, its performance has been more like Yahoo! than Google. Executive turnover has continued to hamper the company and they have not been able to attract enough new talent to scale and meet demand for their products. We are not surprised. From our perspective, the company lacked an Institutional Emotional Intelligence. They had no self-awareness of how they were presenting themselves in the market and were not willing to be introspective or accept outside feedback. Bottom line… they behaved like they were the best employment option in town when the reality was that they could not attract “A” players. Had they made a few minor tweaks to their recruiting process to show candidates that they valued their time and interest in the company, they would most likely be achieving their desired business outcomes today. Have a great interview story or some tips on how to improve candidate experience? Please share your stories and best practices with us. JAFRA has a worldwide product portfolio that encompasses skin and body care as well as spa products, color cosmetics and fragrances, which JAFRA produces using high quality natural ingredients and state-of-the-art manufacturing facilities, including their new $30 million manufacturing facility in Queretaro, Mexico. JAFRA products are sold globally in 18 countries across Latin America, North America, Europe and Asia. We recently helped find JAFRA’s new VP Finance to take over leadership of global finance and accounting, thereby allowing the CFO/COO to focus on major supply chain and technology initiatives at the company. 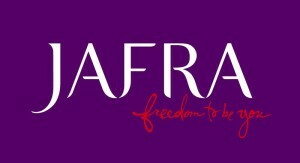 Learn more about JAFRA and their mission at www.jafra.com.